Desktop Network Security Appliance based on the Intel Atom N270 1.6GHz processors that deliver power-efficient processing in a fanless compact platform. 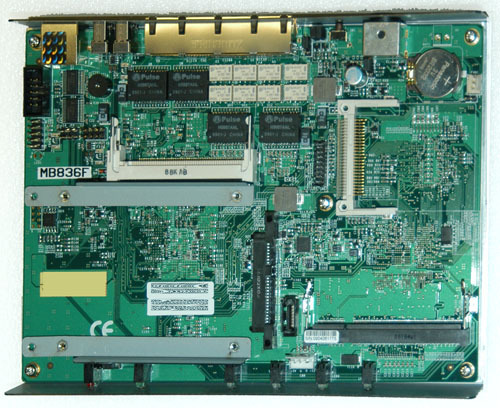 The RoHS-compliant FWA6104 offer cost-effective performance for the SOHO (Small Office, Home Office) and SMB (Small Medium Business) market segment. 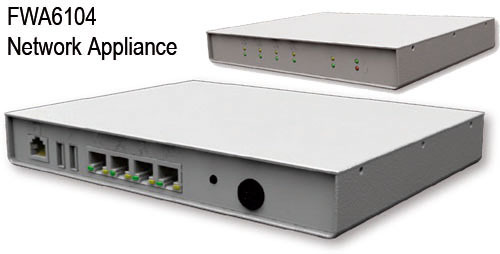 The FWA6104 is integrated with four Gigabit Ethernet ports with one pair supporting bypass function enhancing reliability required in some security applications. 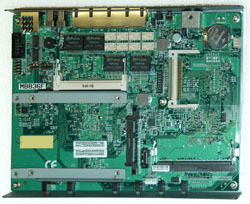 Support I/O interface and expansion Features: including two USB ports in the rear panel, a CF socket, a 2.5?SATA HDD drive bay and a Mini PCI socket. For local system maintenance and diagnostics, a serial port is supported. Monting HDD sata bracket and connector. CAB-rj45SER RJ45 to DB9M Serial Console Cable.